Newcomer Family Obituaries - Gerard J. 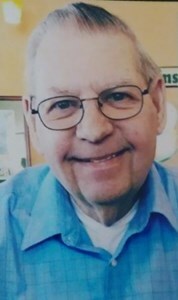 'Jerry' Koehle 1938 - 2019 - Newcomer Cremations, Funerals & Receptions. Gerard J. “Jerry” Koehle, age 80, of Sylvania, passed away peacefully Friday, March 22, 2019 at home with his loving daughters by his side. He was born on September 29, 1938 to Rudolph and Marie (Keeney) Koehle in Bridgeport, Connecticut. Jerry was a veteran of the U.S. Marine Corps. He was a longtime member of St. Joe’s Catholic Church, Sylvania and Knights of Columbus. Jerry was an avid golfer. He will be deeply missed by all who knew and loved him. In addition to his parents, he was preceded in death by his former wife, Patricia Koehle; and brothers, Merv and Rudolph Jr. Koehle. Jerry is survived by his loving children, Jan (Garry) Binkley, Bridget (Thomas) Coffey, Cindy (Richard) Tomblin and Tim (Cyndi) Koehle; 15 grandchildren; 7 great-grandchildren and 2 on the way; brother, Vincent (Katherine) Koehle; special friend, Carolyn Creque; and many dear friends. The family will receive guests on Wednesday, March 27, 2019 from 2 – 8:00 p.m. at Newcomer – West Sylvania Chapel, 3655 King Rd., Toledo (419-392-9500). Mass of Celebration will begin Thursday, March 28, 2019 at 10:00 a.m. at St. Joe’s Catholic Church, 5373 Main St., Sylvania, OH. Interment will follow in Toledo Memorial Park. In lieu of flowers, those wishing to make memorial contributions are asked to consider Hospice of Northwest Ohio. To share a memory of Jerry or to leave a special message for his family, please click the "Share Memories" tab above. Add your memories to the guest book of Gerard Koehle. Jerry will be remembered as a gentle man who loved God, loved St. Joseph, loved and served the Knights of Columbus. He always looked to be a helper. He was a man who was a pleasure to see. Always a smile and positive word. He will be truly missed. May God give him peace. My prayers for him and family. I was involved in the Knight's with Jerry for many years at St. Joe's and I can verify that Jerry was a very Honest Man and I along with many others trusted him and respected him...his word was his bond ! Jerry was a great guy and a wonderful storyteller. He invited me to become a Knight of Columbus and shepherded me through the process. I had many opportunities to learn about his experiences in the Knights as we traveled to many meetings together. He loved to say that he was "baptized by a bishop and blessed by a Pope." His goal was to stand guard at the rear gate of heaven with the Blessed Virgin, while St. Peter checked everyone in at the main entrance to heaven. One of his recurring stories was about a local man who rode his horse to Knights of Columbus events in the early days. Another was about how he drove Bishop Hoffman to meetings in the far reaches of the Toledo Diocese for confirmations, and how he relied on Jerry to know all of the best places to eat while they were out in the hinterlands. Jerry became State Camping Director in his early days in the Knights and told about the time that he hosted a priest to say Mass at the campgrounds and later that night the priest elected to sleep outside in the bed of a pickup truck, even though Jerry had a camper available for the priest. He said that the priest's supervisor gave Jerry a real dressing down for letting the priest sleep in the truck. Jerry apparently met his wife while walking a beat in Toledo with a TPD officer when he and a Marine friend were in town from Camp Perry. He and his friend both ended up marrying the girls they met that night. As an MP, Jerry had been sent to the shooting contest at Camp Perry and was assigned to be the spotter/scorer for a General who was competing in the match. Because the General was scoring so well he was reluctant to let Jerry go on leave to Toledo until the match had concluded because Jerry was his good luck charm. I will personally miss Jerry very much since he was such a good role model. I hope that his family will remember him through stories that he may have told them, much like I will remember him through the stories that he told me and other members of our local council.